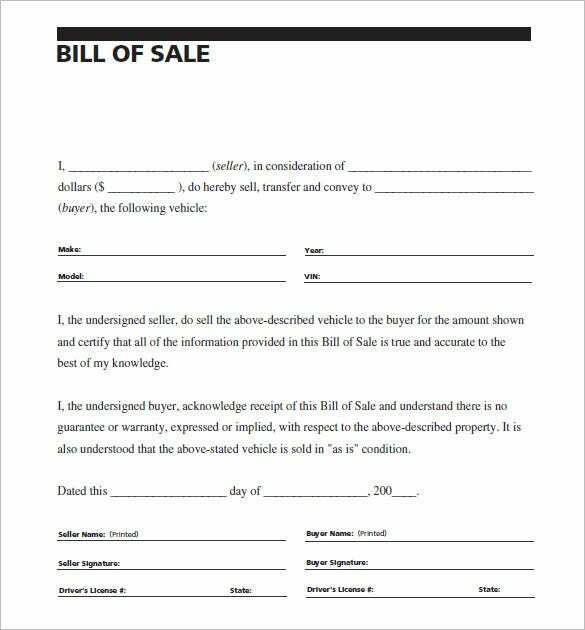 The purpose of auto bill of sale is to have a proper and legal transfer of ownership of the sold auto type of vehicle by the buyer from the seller. 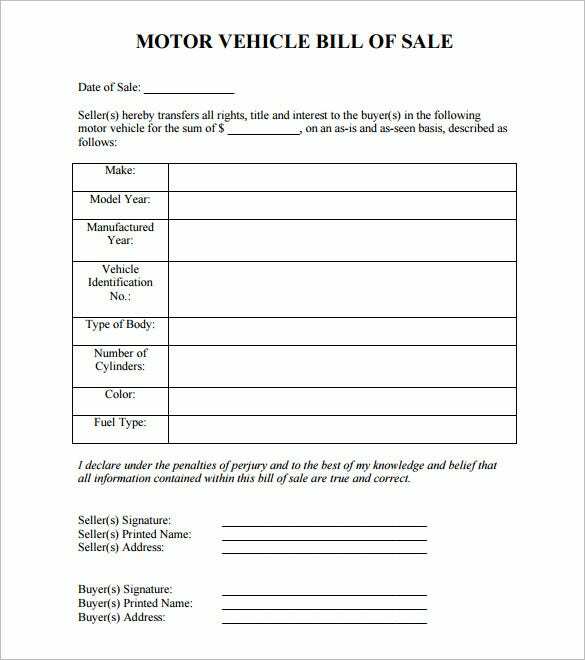 This is part of Vehicle Bill Of Sale Template which gives featured samples for free download and ideal to open in Microsoft Word. These samples are helpful to create an effective bill of sale for every transaction to auto type of transportation. 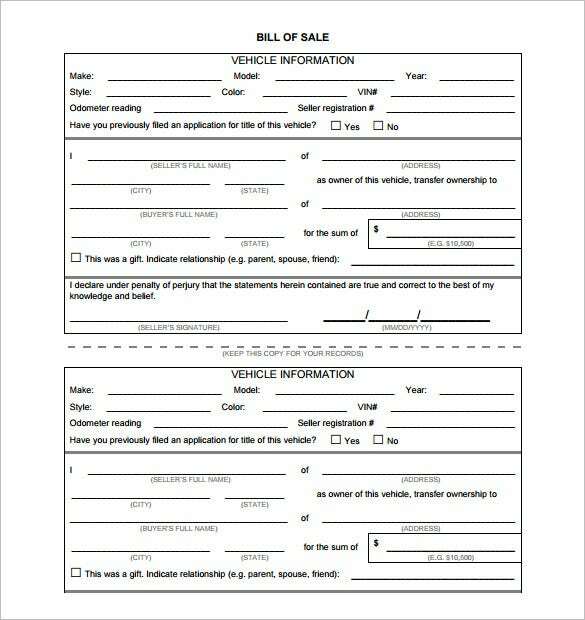 Downloading the vehicle bill of sale template will make it much easier for you to document the details of transactions when you are trying to sell your vehicle. The free samples can be used in Word files and they are customizable as well. 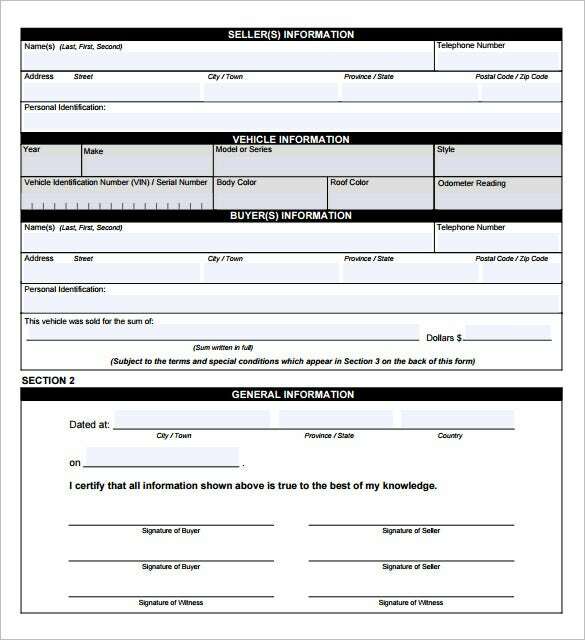 Purchase and sale of vehicles include a very important aspect known as the transfer formalities which can be taken care of by the blank auto bill of sale template which can be downloaded for free. 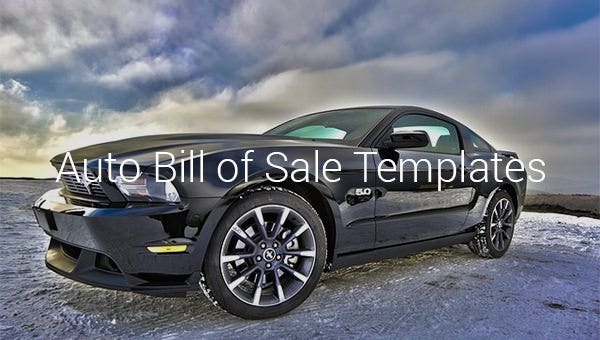 The generic auto bill of sale PDF is a must download if you are selling your vehicle because its editable format lets you make changes according to your requirements. 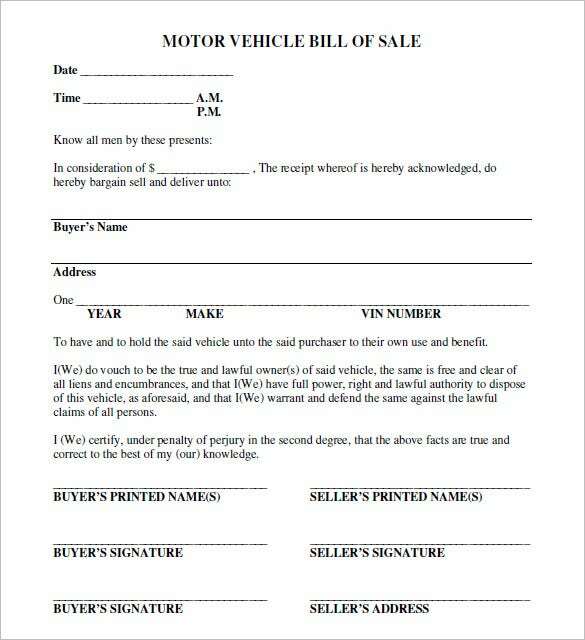 Details such as names of the parties involved, addresses, time, date, conditions and prices can be documented systemically with the motor vehicle bill of sale that can be downloaded for free. Transactions formalities would require to document important aspects like name, price, date, addresses etc. so that the sale of the vehicle can be taken forward. 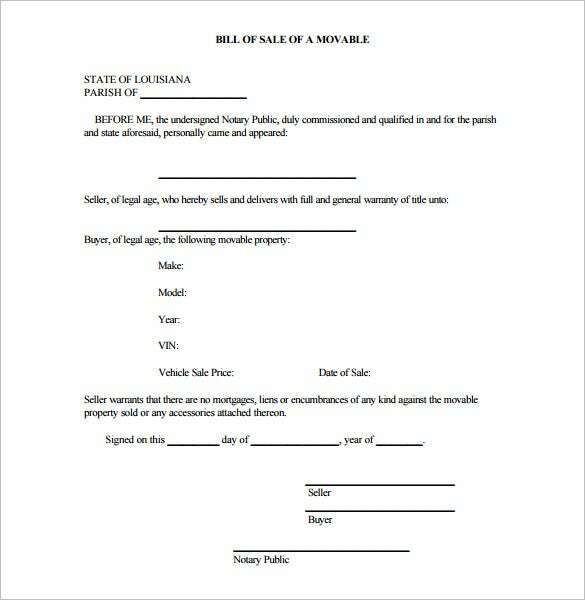 In such cases, the movable state bill of sale template which is available for free is more than useful and used in any state. 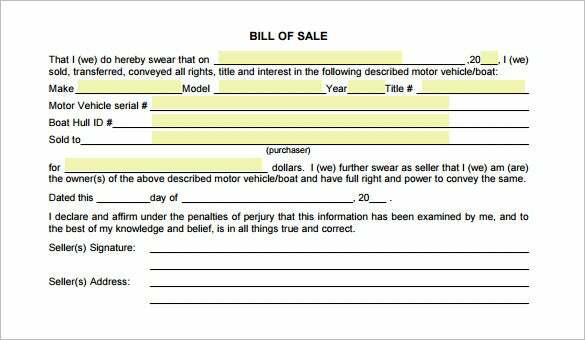 The Alberta bill of sale template can serve as an authentic bill for representing a transaction of motor vehicles within the province. 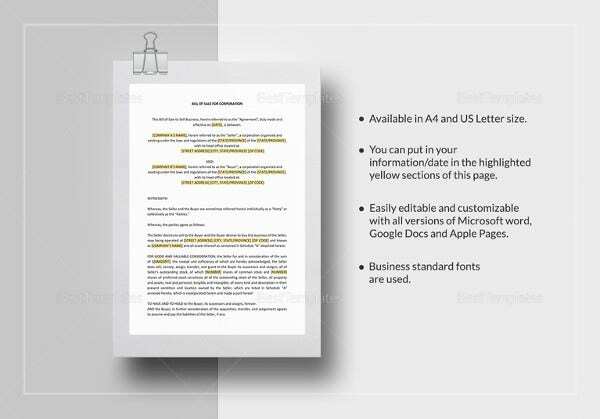 The template, with the signature of all parties involved is as good as a legal document which can be downloaded free of cost. 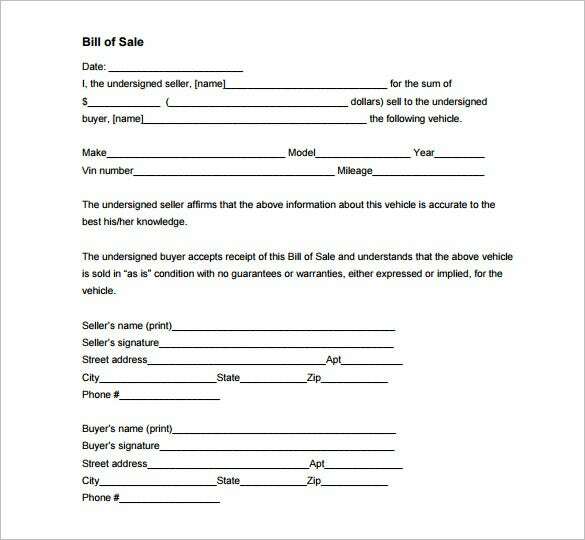 In order to make a structural framework of a good Bill of Sale for auto, the use of template is appreciated. The proper format will be discussed and the content of what to include will be highlighted. Details about the auto vehicle will be stated for the awareness and knowledge of the person who sold it. If you have any DMCA issues on this post, please contact us!